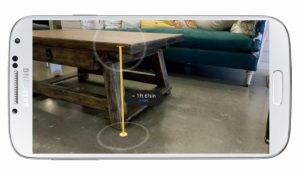 Over the past few years, mobile camera technology has progressed more drastically than any other single feature of our beloved devices. Here at TouchRight we understand that photography plays a vital role in property management and the inspection process, with digital photographs being an essential component of property reports. Use 3 photo size options in your report templates – large single photos (great for outside property shots), single mid-size photos (perfect for room overview shots) and multi-photos (ideal for capturing a variety of photos in specific detail). In the app, you can take individual photos as you go, or our quick ‘multi photo’ upload feature enables you to conveniently select and upload multiple photographs straight from your camera roll into your report. There’s no limit to the number of photographs you can include in any report, the choice is yours. All photographs are date and time stamped and they can also be enlarged to full size in your final PDF report to allow you or your landlords and tenants to see the finer detail. For inventory reports, photos are added into the report immediately below an item’s description and condition (not in a separate appendix), which makes them really easy to locate. Even better – if you use the ‘linking’ feature in TouchRight, you can create a comparison report at check out and see your ‘before’ and ‘after’ photos in the same handy area of the report. 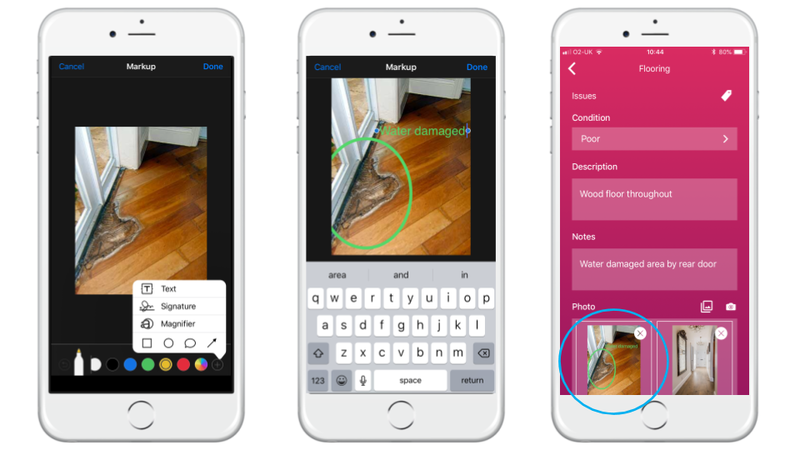 Annotation – don’t forget to make the most of the annotation tools built into your iOS/Android devices, which you can add to any photographs on your camera roll. Options include circling items, adding text, highlighting areas, adding arrows, magnifying areas, and adding signatures. Great for highlighting any specific damage or areas of concern that you want to be seen. 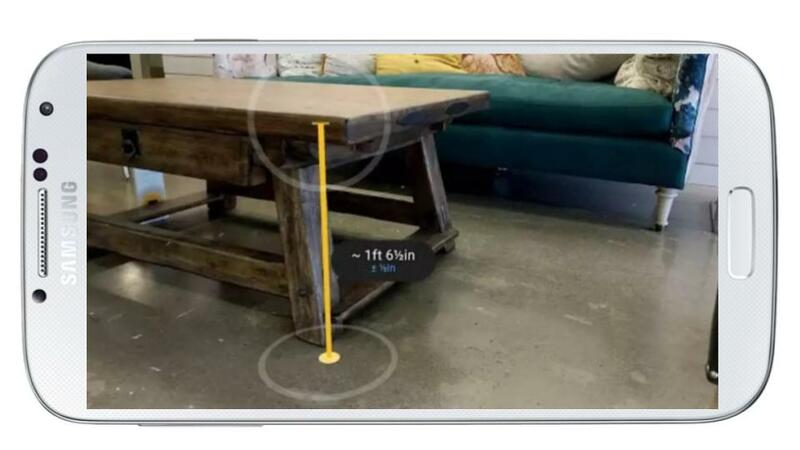 Measure – if you’re using a device with the latest operating systems (iOS 12 or Android S9 or Google Pixel devices), why not use the ‘Measure’ app (see image below) to capture, highlight and measure areas and fittings such as furniture, pictures or carpets which may be damaged or need repair. Simply create the photo, store to the camera roll, then add to your report. We are big advocates of less report printing and saving a tree (or three!). The ‘photo enlarge’ feature in particular takes away the need to print reports, as anyone who receives a TouchRight report via email can click to enlarge the photos and really see the detail. This is perfect for sending reports not only to landlords and tenants, but also works really well in the event of a deposit dispute if you need to email a report to the dispute services. It makes their lives a whole lot easier if they can view a report quickly and easily on their computer, and immediately access the photos in a larger format. 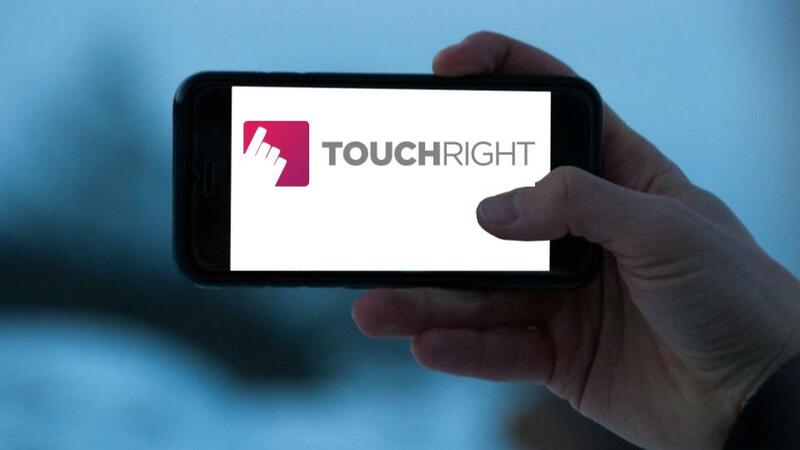 In conjunction with today’s incredible and quickly evolving smartphone camera technology, TouchRight is making property reporting faster, smarter and more visual, whilst paying close attention to the requirements of the dispute services. For more information, please contact us by email or call 01904 390109. → TouchRight Tips: Compile property reports without even typing a word!